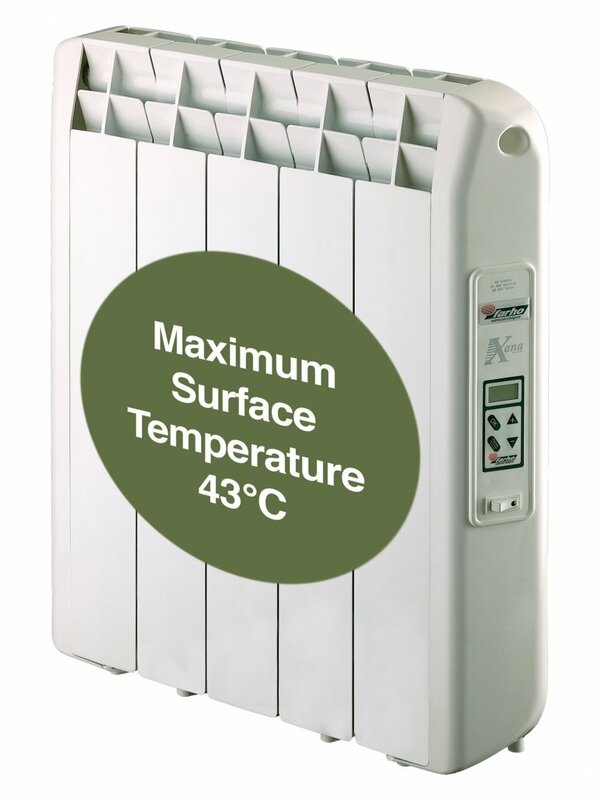 The perfect heating solution for spaces in Schools, Nurseries, Creches, Health Care Facilities and Nursing Homes. This model offers XP features and its difference is that thanks to a specific software, the maximum surface temperature of the unit is limited to 43°C. This singular characteristic was developed in order to fulfil a European Regulation that obliges Schools, Nurseries, Health Care Facilities and Hospitals to install these units in order to avoid accidents where vulnerable members of the community such as infants, the young or the elderly are liable to be present. The XANA PLUS LST model combines high performance features with maximum control and exquisite comfort. LST models are a special XP version that offer the same advantages as the XP with the singularity of avoiding its surface temperature to rise over 43°C. These models are user friendly and very easy to operate. The most advantageous characteristic of this product is its flexibility when heating a house since you will be able to have the heat you want, when you want and where you want. The aim of the Farho system is to allow a personalized heating system that can be 100% controlled. Units can be programmed in up to six independent operating periods for each day of the week and it can be displayed and reset anytime. The intelligent management of the energy consumption offered with the XP’s makes Farho heaters energy efficient radiators.